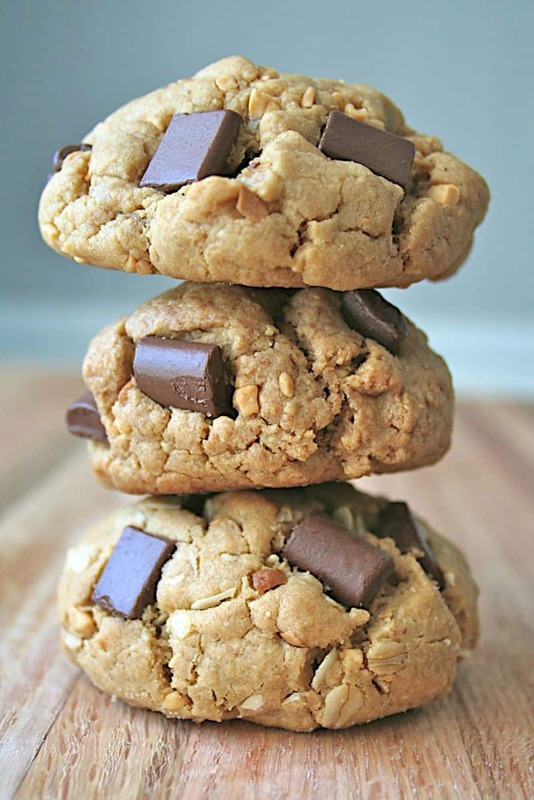 Big, thick, chewy, peanut buttery cookies with lots of gooey chocolate chunks! 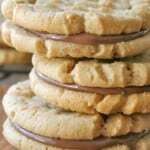 I absolutely LOVE peanut butter, and when you combine it with chocolate, my mouth explodes with happiness! Please tell me yours does too? 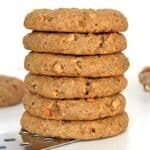 These cookies are big, thick, chewy, peanut buttery, and have lots of gooey chocolate. 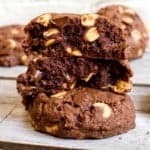 Seriously one of the best cookies you will every bake and enjoy! They are so easy to make that you will be loving me one day and hating me the next, once you realize they’re all gone. 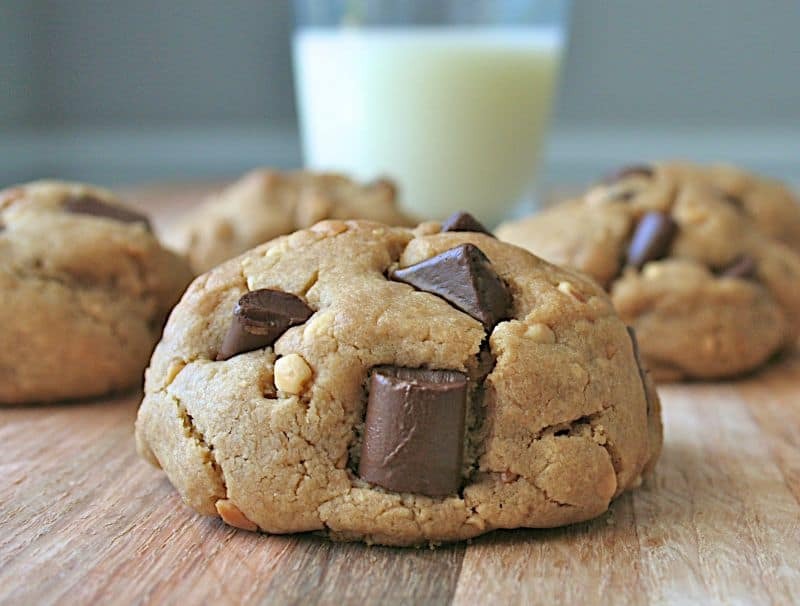 I bake these cookies all the time and we never get tired of them. In fact, we devour them before they even have time to cool on the rack! 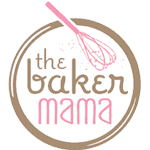 So take your pick on the variation and get to baking! 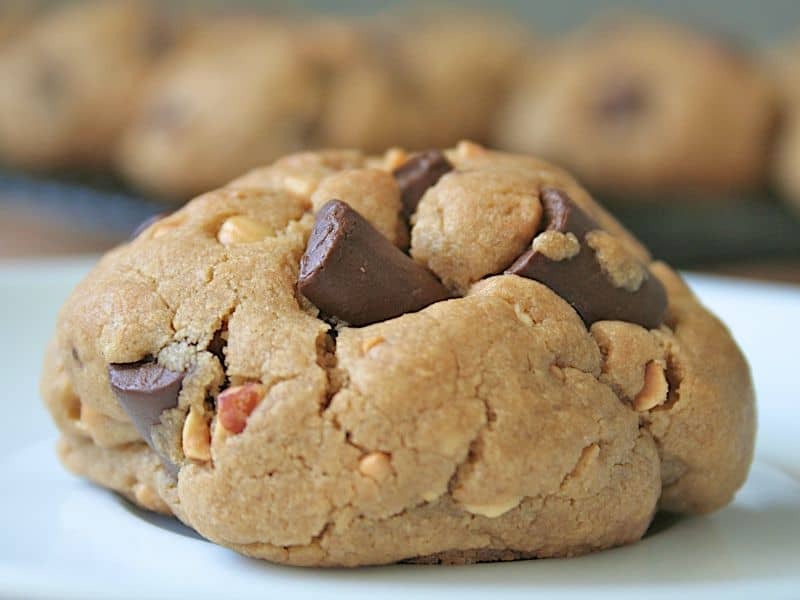 Every peanut butter-chocolate lover you know will be thanking you! 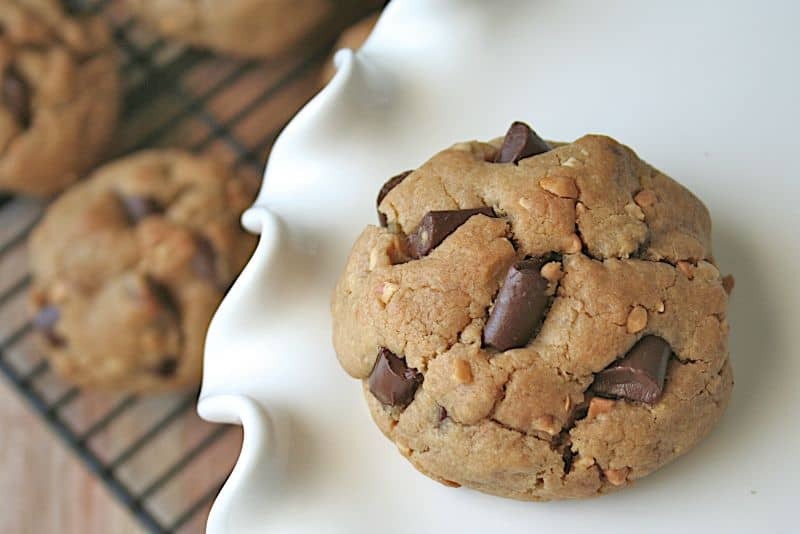 A quick bake and all your chocolate peanut butter dreams will come true right in your oven! 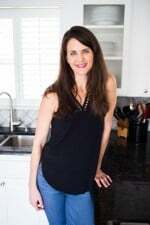 In a small bowl, whisk together flour and baking soda; set aside. 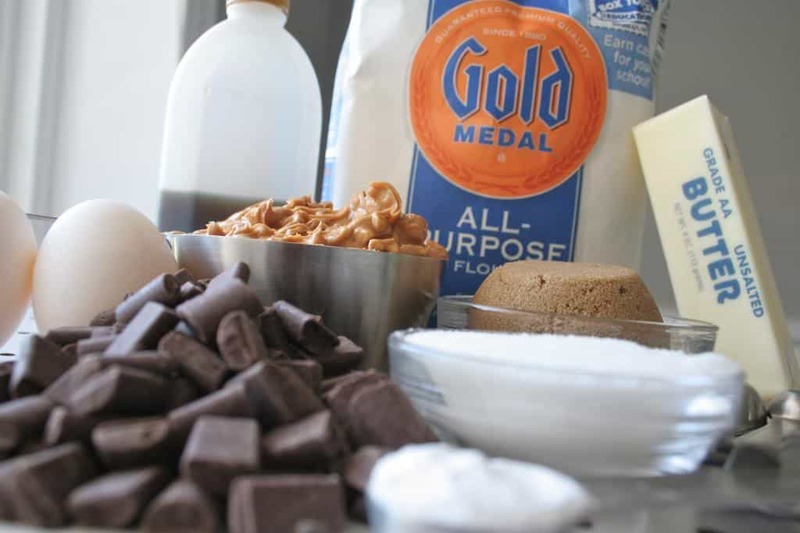 In a large bowl, using an electric mixer, beat peanut butter, butter, and sugars until light and fluffy. Add eggs and vanilla, and beat until smooth. With mixer on low, gradually add flour mixture, beating just until combined. 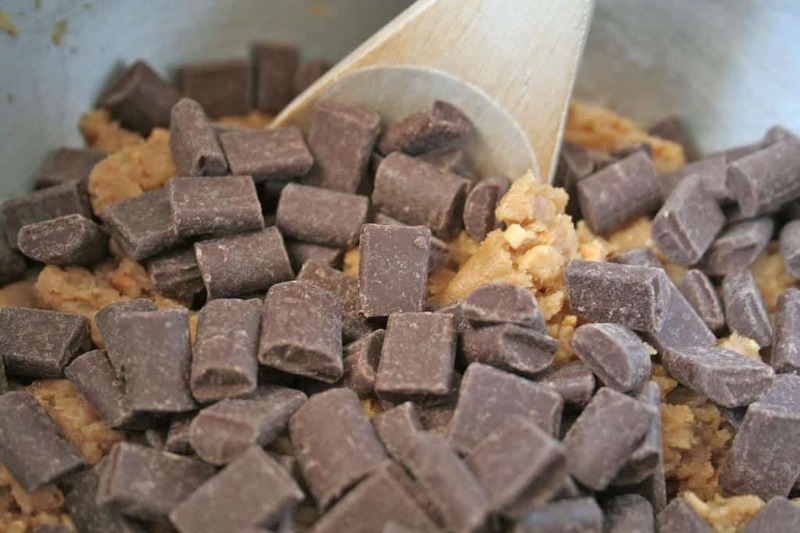 Stir in chocolate chunks. Let the dough rest for 15 minutes in the refrigerator. Drop dough by golf-ball sized balls, 1 inch apart, onto baking sheets. Bake until golden brown, 13 to 15 minutes, rotating sheets halfway through. Transfer cookies to wire racks to cool. Store in an airtight container. 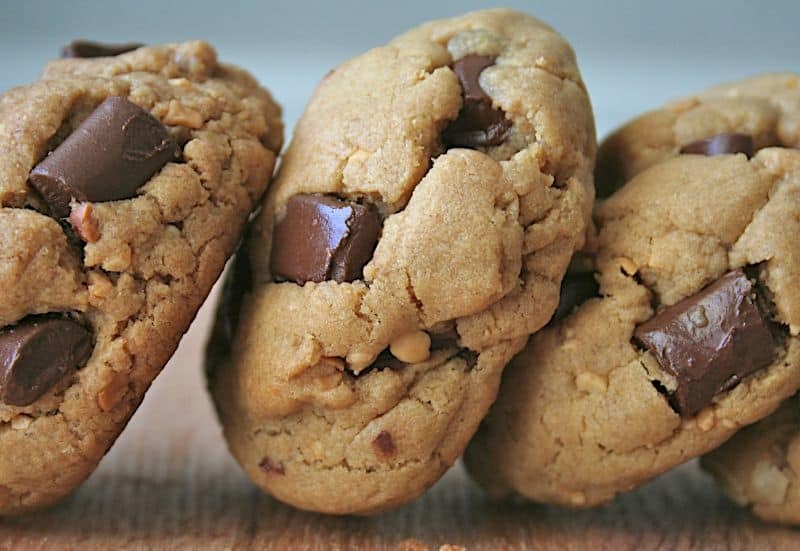 If you want smaller cookies, roll the dough into ¼ cup sized balls. This will make 24 cookies. 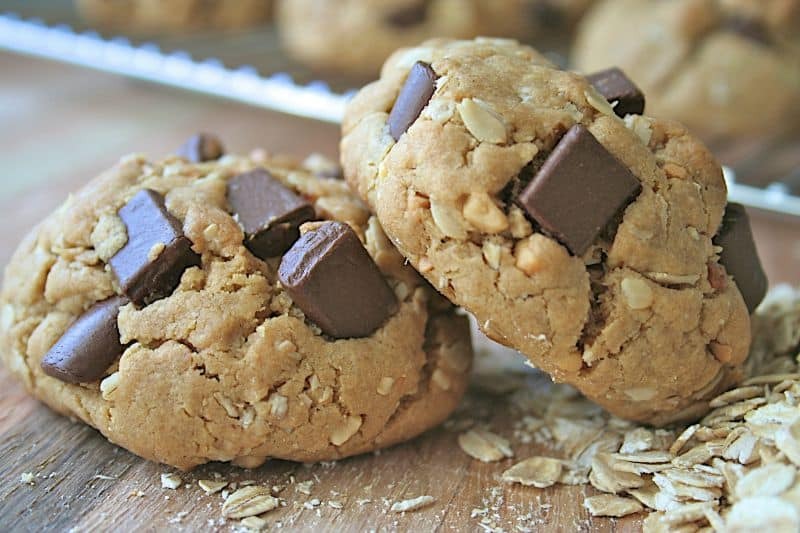 Whole Wheat Peanut Butter Chocolate Chunk Cookies: Replace the 1-1/2 cups all-purpose flour with 1-1/2 cups whole wheat flour and increase the peanut butter to 1-1/4 cups. 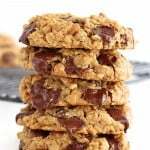 Peanut Butter Oatmeal Chocolate Chunk Cookies: Use either whole wheat flour or all-purpose flour, increase the peanut butter to 1-1/4 cups, and add ¾ cup old-fashioned oats before you stir in the chocolate chunks. 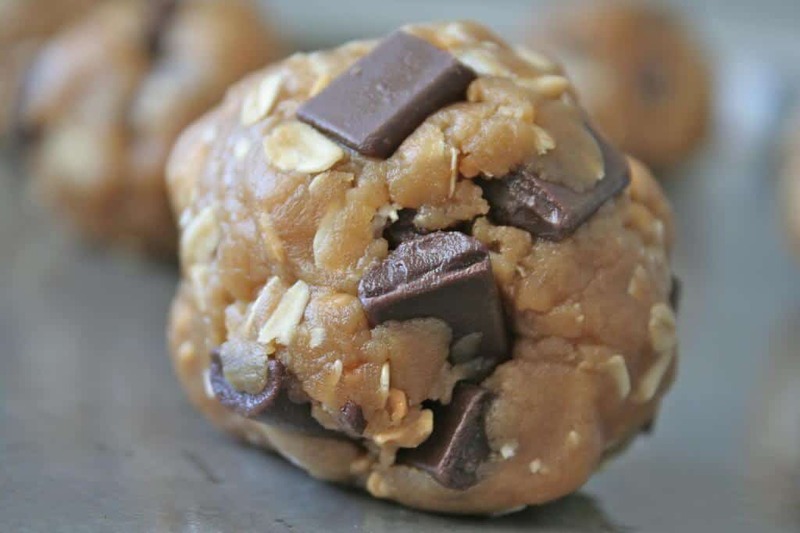 In the photo of the cookie dough in a ball shape there appears to be oats. 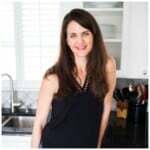 Is there supposed to be oatmeal in the recipe? Hi Vanessa! 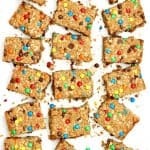 If you look at the notes below the recipe, there are a few variations for this recipe and one of them includes oats. The original recipe does not have oats in it. Enjoy!